There are so many teeth whitening brands out there these days, as you would know if you frequent any social media sites such as Instagram and Facebook. It is easy to get confused about which one is the best, is the safest, and is cost effective for the results you achieve. There are literally thousands of celebrities and influencers all promoting different brands and claiming that the one they are promoting 'is THE ONE!'. 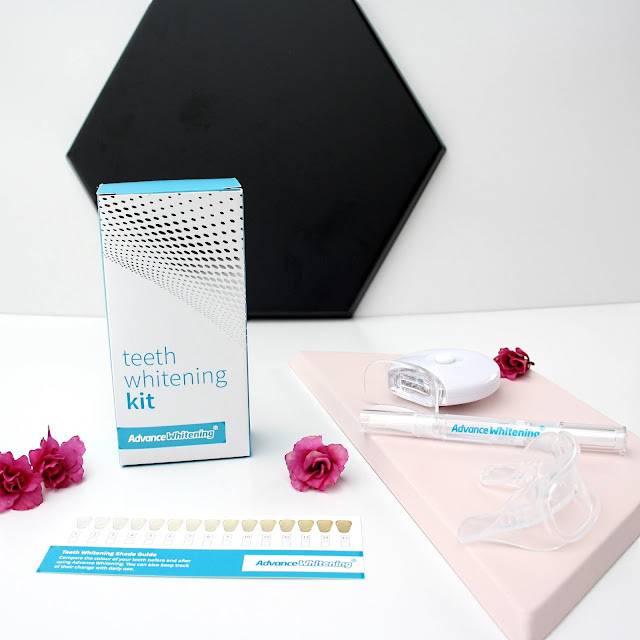 Today, I wanted to share my honest thoughts on why I think Advanced Whitening's Teeth Whitening Kit is one of the best ones out there, and why I would recommend their product over a lot of whitening kits I have seen online. 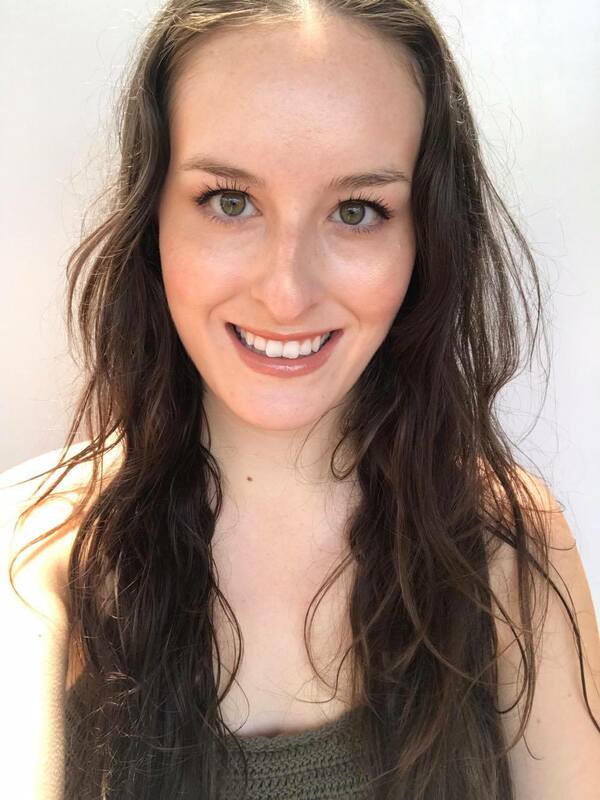 I was hesitant to try teeth whitening kits in the past as I have read horror stories about teeth sensitivity, sore gums, and generally ineffective results. I was also concerned about the ingredients in some of these kits as many didn't even disclose the ingredients in their kits, or if they did, contained ingredients known to be abrasive to teeth. I was also not sure about the safety of using these products. I was reassured reading that Advanced Whitening have been around for over a decade, and their clinical studies have found that no significant sensitivity was found with use of their products. Their products have been developed in the US in fully ISO-9000 compliant facilities, and are fully compliant with all Australian Safety Standards and the Australian Dental Association. The Complete Teeth Whitening Kit from Advanced Whitening is designed to give you results from the first application. The advanced whitening pen contains 6% Hydrogen Peroxide which is a powerful whitening agent that penetrates tooth enamel to lift stains. 6% Hydrogen Peroxide is the equivalent of 18% Carbamide Peroxide, and Hydrogen Peroxide is a faster acting ingredient that is perfectly suited to at-home teeth whitening. To use the kit is easy. Twisting the base of the whitening pen disperses the product onto the brush tip. Only a small amount of gel is needed, and painted directly onto the teeth you wish to whiten. Then the mouth guard can be inserted into your mouth and the LED light turned on. The Advance Whitening LED ‘blue spectrum’ light activates the peroxide and accelerates the whitening process so you’ll see initial results in the first application. The light will turn off automatically after ten minutes. After this time, you can repeat the process if you wish by rinsing with water and then reapplying the gel and inserting the mouth guard for another ten minutes. For the most dramatic results, Advanced Whitening recommend treating your teeth twice a day, for 5 days. Two applications only take twenty minutes to complete, which I think most people would find doable, especially for only five days. Advanced Whitening also proudly display the ingredients in their whitening kit on the box, which is a necessity for me, as it's important to know the ingredients of the products I use. The ingredients of the Advance Whitening pen are: hydrogen peroxide, glycerine, carbomer, peppermint oil, and triethanolamine. As for the results?! I have noticed a definite brightening and whitening effect from using this kit for only five days! I noticed a difference after the first use, as claimed on the website. I didn't experience any sensitivity, which I was worried about. Check out my results below! 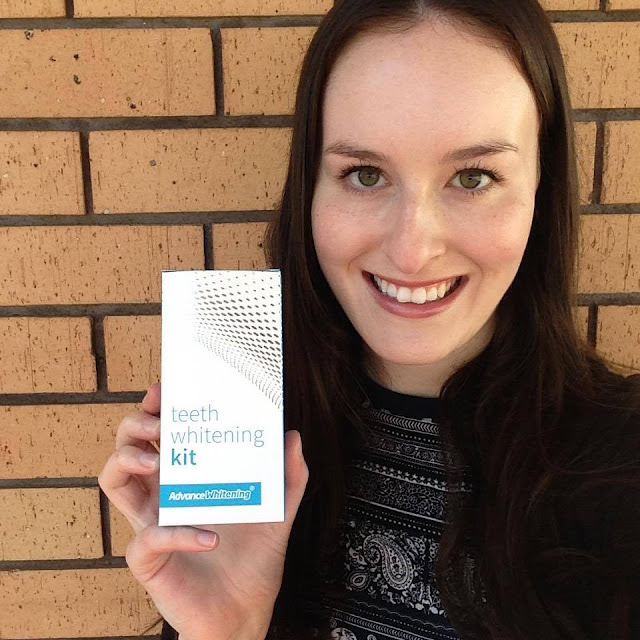 Advanced Whitening's Full Kit retails for $79 AUD, with free express shipping in Australia! I think that this is a good price considering the quality of the ingredients, the results I achieved, and the fact that the whitening pen contains enough for at least two full treatments (one treatment being 10 sessions over 5 days). Whitening pens can also be purchased separately, which is great if you already own the mouth guard and LED light, as you save quite a lot of money. I would recommend this kit over other kits I have seen on the internet for several reasons. Firstly, it is easier than other kits I have seen. Secondly, Advanced Whitening has been around for over 10 years and is fully compliant with all Australian standards, unlike many brands. Thirdly, it has been found in studies to not cause extreme sensitivity unlike other kits. And lastly, it is better value as it provides better results than kits at a similar price. 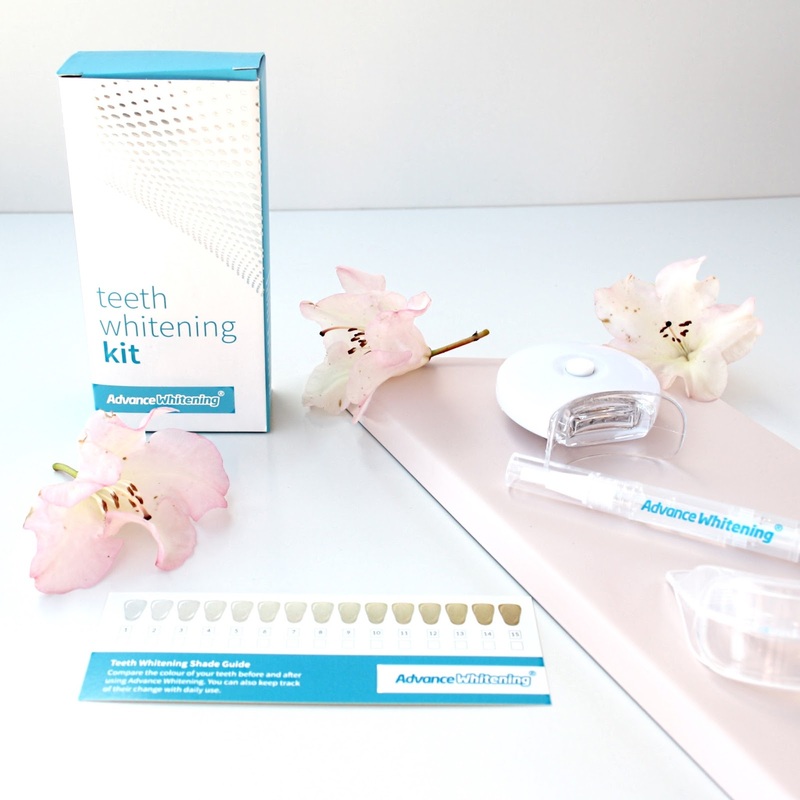 If you are interested in purchasing your own kit, you can order one from the Advanced Whitening website. Hi Sofiaa, I really recommend this one!! I love tooth whitening kits! I swear Australian bloggers always seem to have the best products!! !